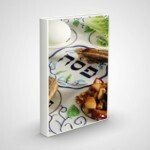 Rabbis around the globe have been enjoying all that NLEResources.com offers. From our NLE Morasha Syllabus classes to our new NLE Thinking Gemara Series, our readers can choose from an assortment of beautifully prepared source-sheets and topics to benefit themselves and their students. At the same time, we like to keep our readership updated with the latest new outside resources and tools that can further enhance their classes, learning, and preparation of events and programming. And so, we want to bring to your attention another helpful free resource site that can also be of great service to you called: Rabbanan.org. Please note: while Rabbanan.org is a service of Yeshiva University’s Center for the Jewish Future, they do allow rabbis who are not graduates of Rabbi Isaac Elchanan Theological Seminary to sign up for this site. “Sometimes just the list of Shiur Outline topics is enough to give me an idea of what to talk about. The outlines themselves always have some sources that I would not have found on my own which enhances the presentation. Having the sources ready to be used is extremely helpful in making source sheets on short notice, especially from seforim that I don’t personally have. When looking at a parsha it is very hard to zero in on one idea that will be relevant and usable for a derasha. Sometimes just seeing the sources that other people are using is helpful in finding one thing to focus on. The blog is also very helpful as a starting point for talks that I give over Shabbat.”—Rabbi Y.G. All of us at NLE Resources are certain that you will find the Shiur Outlines and source sheets, stories, jokes, and Drasha Nuggets helpful to you as you prepare for your weekly class or lecture. Hatzlacha!